It's amazing how many self help books there are out there all claiming to be the absolute best confidence book for you, isn't it? They all seem to promise that quick fix to easily solve all problems, don't they? I know I've certainly read a ton of them. I think I've checked out every one that my local library has to offer, borrowed everything people will lend me and have spent a lot of money on buying ones that catch my eye in the bookstores. Below you'll find my reviews of just some of the ones I've finished reading lately. What have you read lately that you were really impressed with? I'd love to hear about anything you've found that is truly inspirational. You can also read what's been recommended by others as their favorite self confidence book. This is my ebook and I've written it so you too can discover a simple yet life changing technique. With this method, you'll finally discover what's been stopping you from achieving your greatest dreams. It's also such an easy way to deal with those negative emotions like anger, frustration, procrastination, and boredom. 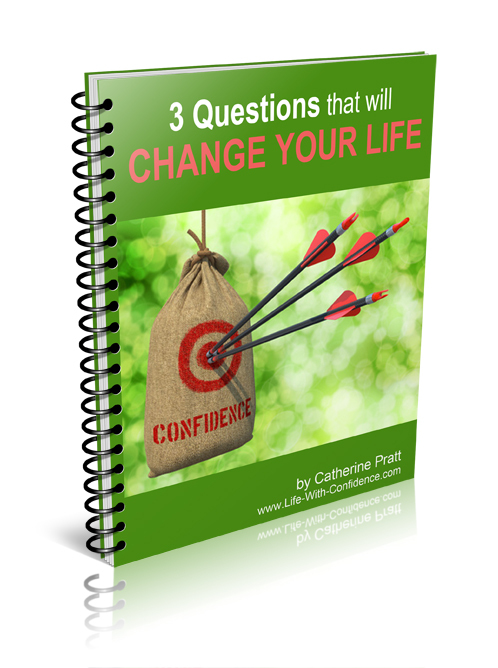 "3 Questions That Will Change Your Life"
This is my new favorite confidence book. It was recommended to me by a reader and I'm so glad it was. This is such a powerful book which I think I'll be reading a few times as it's packed full of valuable information. It's one of the few books that I would classify in the category of potentially life changing. He provides a lot of the "missing pieces" that other self help books don't talk about. It's much more than steps to follow. He actually makes a lot of things suddenly make sense. It's 272 pages long and well worth the $10. This one is definitely worth the money in my opinion. Disclosure: Compensated Affiliate: I liked it so much that I even signed up to help promote it and decided to become an affiliate of his book. If you buy any of the following books through the provided Amazon links, it helps me to continue to run this site so that I can continue to provide valuable information free to you. Thanks! Robert Fritz has some interesting ideas in his book. His idea is that problem solving doesn't solve your problems but that's all we've been taught. He believes problem solving doesn't allow you to create what you want and often perpetuates what you don't want. He also describes how you can't change your reality with positive thinking and affirmations. He says you need to change the underlying structure of how you have your life set up so that you end up taking the easiest path. He provides 4 steps to change the structure. Lot of interesting ideas in here and I'm in the process of trying out some of his techniques. Can you relate to the above quote by this author? If you can then you'll love this book. I thought this book was so great in finally breaking me free of constantly needing other people's approval. She does it by getting you to ask yourself basically 4 simple questions. It allows you to see what is "reality" and what you've added with your own thoughts. She has another book as well called, "Loving What Is" which is very similar but touches on slightly different topics. They're such simple concepts but really powerful. I loved these two books. My articles When We Blame Others and A Quick Way to Build Your Self Esteem - Stop Needing Approval talk about some of the ideas I learned from this book. If you want to check out her web site it's at: www.thework.com and you can read an excerpt from the book and download some of the worksheets she uses. I think this book should be required reading for anyone wanting a relationship or even anyone currently involved in a relationship. It's like the instruction manual you've always been looking for. It explains it all so clearly and you'll suddenly see why your relationships failed in the past or how you can improve your current one. You will have so much more confidence in your relationships after you read this book. You will also have a deeper understanding of why you and your partner behave the way you do in certain situations. This is the book that started it all for me. I was pretty near rock bottom and needed to make some pretty serious changes in my life. I read the 1963 copy but I see there is even a revised edition. 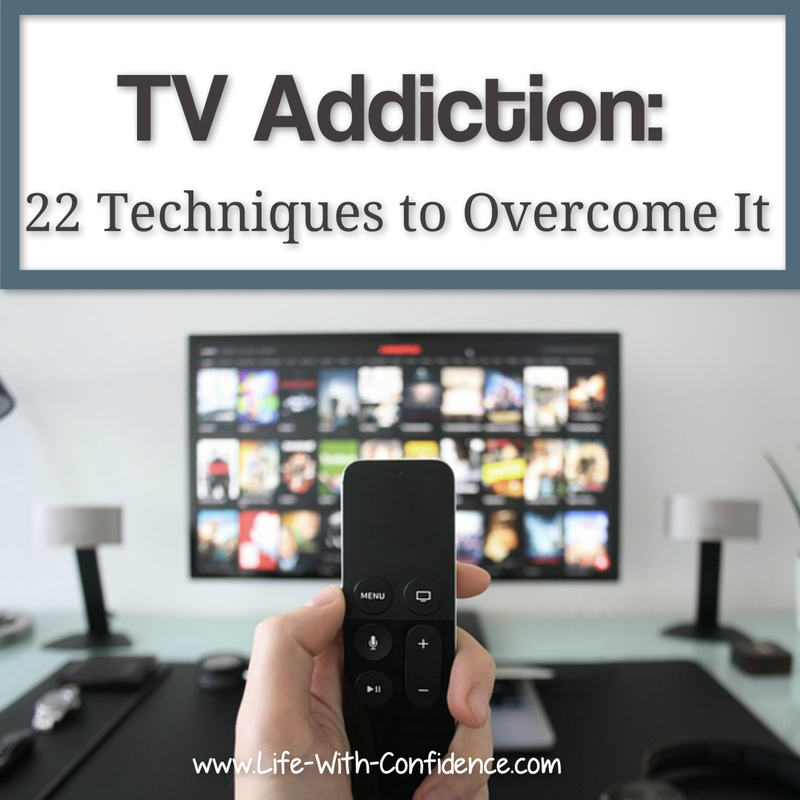 It opened my eyes as to how my thinking was causing a large number of my problems. "All your frustration is due to unfulfilled desire" and "Think good and good follows. Think evil and evil follows. You are what you think all day long." It's far more in depth than that but it was what caused me to ask the question, "what was I thinking all day long?". I was quite shocked to realize how negative I had become. So, I have a soft spot for this book because it really got me back on to the right track. Note: I just finished reading the revised version (2001) and I didn't find it as good as the original version. This later version is longer but it's also much more confusing and it's lost its clarity and how easy it was to understand it. Not sure why they felt they had to change it. Anyway, if you can, get the original version. Not really a book on confidence but more a book on how your thoughts create your reality. I liked this book and I carried it around in my backpack for months as I liked it's easy to read, somewhat humourous style. It was very good at explaining how if you pay attention to your feelings and your thoughts, you can use the Law of Attraction to get what you really want out of life. The other technique it provided which is useful is how to get yourself out of a bad mood (or even just a neutral mood) to a happier, more upbeat mood. Simple steps, simple concepts, a fun read. This one was recommended to me by a reader and I'm so glad he mentioned it to me. I was impressed with this book. He talks about what he feels are the 7 steps to self fulfillment, gives you challenges to learn his concepts, as well as actual steps you can take to learn things like: how to give a speech, how not to be shy in social situations, how to give criticism, how to help someone grieve, how to get over relationships, etc. Lots of really good, useful information in this one. It's also a really good price. The biggest destroyer of our confidence levels is fear. This is a really good book on how to manage that fear and accomplish your goals. One piece of advice I really like from her book is that we drive ourselves crazy trying to not make the "wrong decision" when really there isn't a wrong decision. Each choice you make will bring new and different opportunities. Thinking this way helps to break down the feelings of paralysis you may feel when faced with two options. 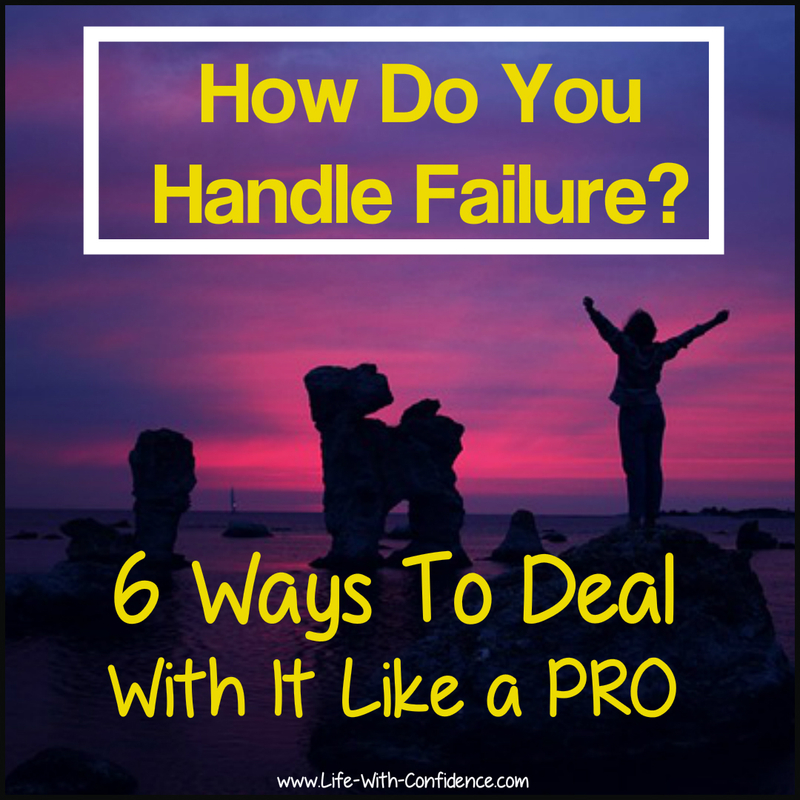 Lots of good tips and advice on how to face the fear we all feel in our lives. This is Tibetan wisdom for the Western World, 8 steps to enlightenment. I learned a lot from reading this book. I learned about not being overly attached to people or things and that when you're going through a stressful time, you may be just about to experience your greatest breakthrough. It's an easy to read book. Doesn't try to convert you to Buddhism. It just provides a new way of looking at life and its challenges. Also, gives a good explanation of what it takes to be happy. There's also meditations you can do. I can't tell you if those are any good because I've never been able to properly meditate. My brain gets way too distracted. Still working on that one. All of these books are easily available from different booksellers. Use the Google Search box below to find the best deal. If you choose the Book Results option, you'll probably also be able to read some sample chapters so you can get an idea what the book is like before you buy. Do you have a favorite confidence book? Do you have a confidence book that has made a huge impact on your life? Share it! Let me know what it is and why you like it so much. Include what makes it different than all the others out there. What gem of wisdom did you learn from it? Let me know! Your story will appear on a Web page exactly the way you enter it here. I will fix up obvious typos and grammar mistakes so that your review looks it's absolute best.